Blue haze on landscape shots - help? Is it possible to disable the green button? A Tokina employee revealed to us today at CP+ that Tokina has renewed their discussions with Pentax about reviving their lens collaboration as of late last year. According to the employee, Pentax is reportedly developing a full-frame camera (he claims that a prototype already exists). 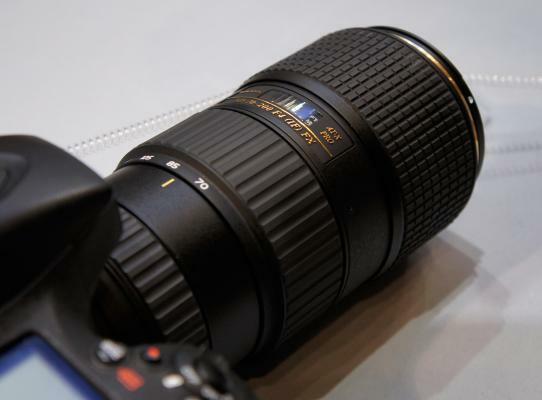 He stated that all lenses developed will be re-branded under the Pentax name as it had been done in the past. 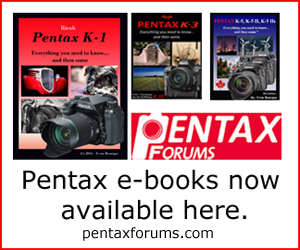 Talks had previously stalled after the Ricoh takeover in 2011, but Pentax has requested that Tokina still show new lens designs for possible collaboration. However, no Tokina prototype lenses have been made for the Pentax full-frame yet, and no deals have been finalized. Tokina is an independent lens manufacturer who has co-designed lenses with Pentax; those lenses have been branded under the Tokina and Pentax names. Though Tokina no longer markets many of these lenses, most of these co-designs are still sold under the Pentax name.